So here are some seedlings from a plant with uncertain affiliations. Currently it is part of Psychotria kaduana. But it was originally described as Psychotria longissima and has a much longer, droopy inflorescence. 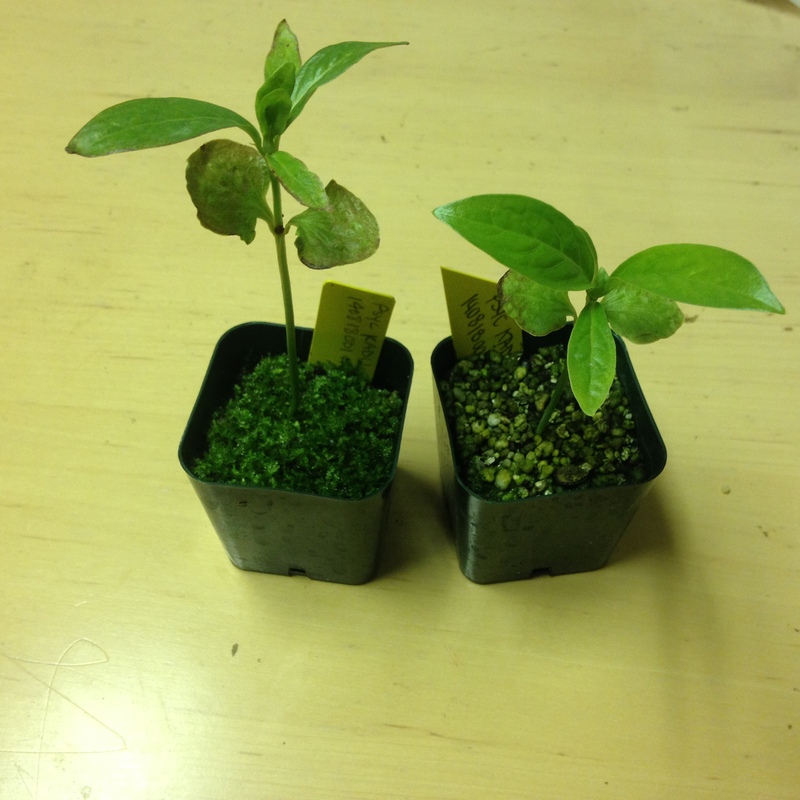 There is much work to be done with the genetics of the native Psychotria radiation here in Hawai’i. It remains to be seen whether this is a distinct population or not. In the meantime, I’m playing it safe. While one of the more well known supposed P. longissima trees flowers consistently, last year was the first time I saw that tree produce fruit. With the expertise and TLC from the seed lab, they germinated! They’ve been in the ground a few weeks but they’re looking good! So, whether or not it is a genetically distinct population, there will be more droopy kopiko on Pu’u ‘Ohia. 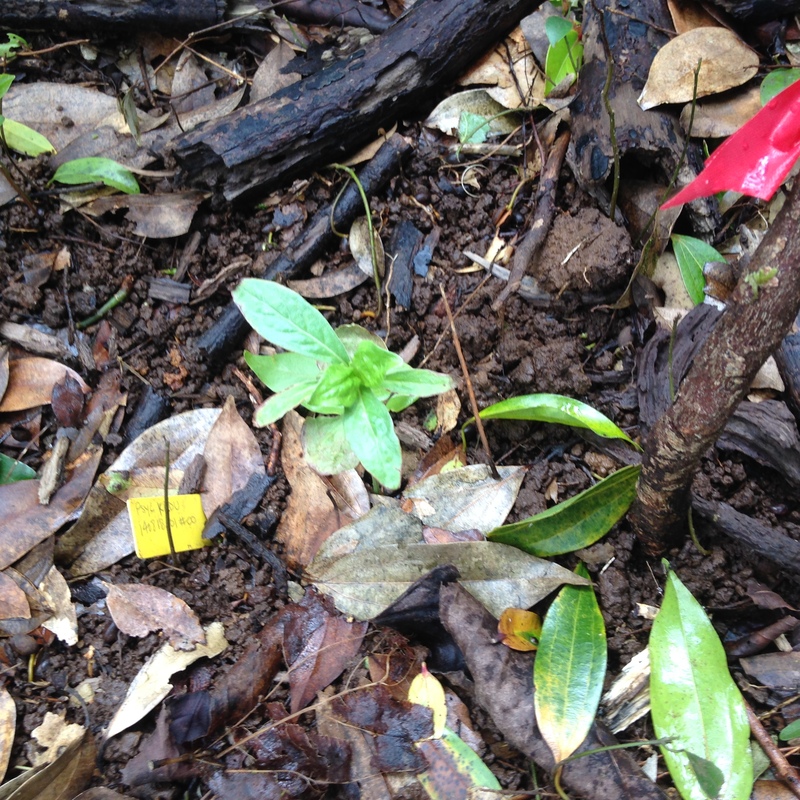 This entry was posted in Botany and tagged Native Hawaiian Plants. Bookmark the permalink.